Is it going to be New Year New You for 2013? The radios are now playing all those classic Christmas hits that we know and love, they sound fun now, how long will it be before they become tiresome? As well as all the festive movies on the TV. – Are we having Happy Holidays or a Merry Christmas? No one wants to think about dieting or being overly healthy over Christmas. It is often the perfect excuse to eat, drink and be merry to complete excess ‘go on, it’s Christmas’ you hear everywhere you go. But just because it is the season, it doesn’t mean you have to take complete leave of your senses. How are you going to fit into that sparkly little party dress or dinner suit if the pounds start creeping on now? 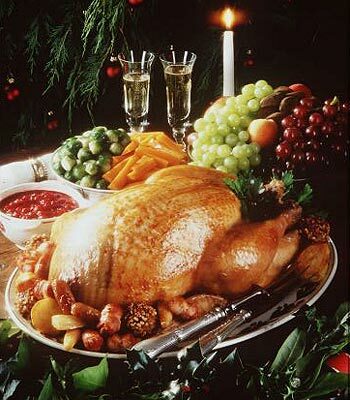 Christmas dinners on their own, with all the lovely trimmings can come in at 2000 calories or more. By the time the Roses tin has been round, mince pies ate and left over turkey sandwiches consumed washed down with lots of mulled wine, how many notches will your belt be going up by? One pound of fat on your body is made up by 3500 calories. Thats quite some going don’t you think? See how easily it can creep up on you? By all means have a great and happy Christmas but don’t make it extra hard for yourself in the New Year. We should be eating 3 – 5 times a day, 7 days a week. The majority of those meals will not be out socialising, so be careful where you can, and indulge yourself when it matters. For those of you thinking of stopping smoking in the New Year, I will be running a special promotion for you, keep in touch for further updates. Do you suffer from bloating, IBS or stomach cramps? Many people suffer from bloating, IBS, stomach cramps ect and its an awful feeling. There are many over the counter remedy but natures way is always the best way, unfortunately these remedies don’t have the financial backing as the super companies do, so their benefits can be lost along the way. If you have trouble going to the loo for whatever reason, you need to add Psyllium Husks to your diet. 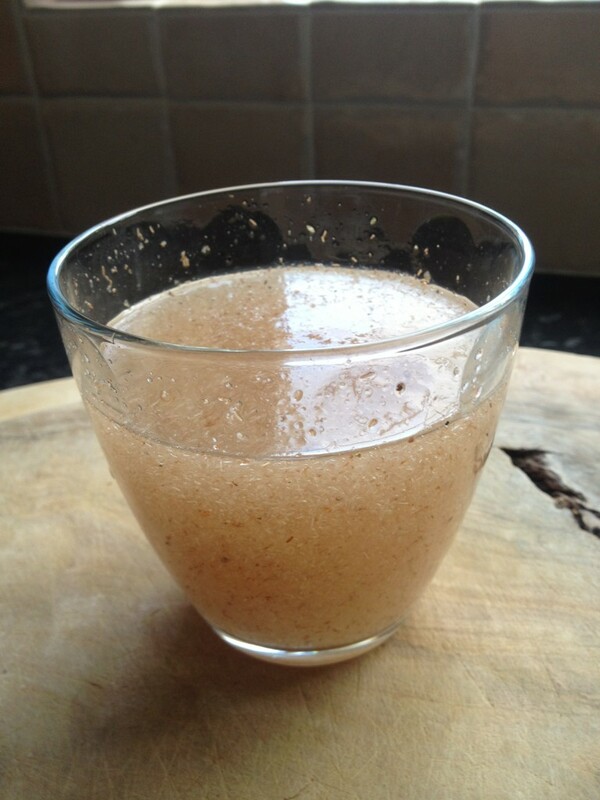 ‘Psyllium husk is an excellent source of soluble dietary fibre derived from the small herbaceous plant Plantago. Dietary fibre can help promote regularity and support heart health as well as helping with satiety after meals. Psyllium Husk Powder can be a convenient way to increase your intake of dietary fibre. It has the ability to swell up to 50 times its initial volume when added to liquid which plays an important role in maintaining regularity and gastrointestinal health. It has also been shown to help lower cholesterol. A daily fibre intake of at least 25 grams is recommended for good health, but on average people consume only 10 to 15 grams. This can be bought very cheaply from Ethnic food stores or you will find it easily online, add it to your daily diet to see the difference it can make to you, immediately! All you need is a good spoonful added to a glass of water taken in the morning with breakfast, it couldn’t be easier to keep yourself healthy on the inside. I have it every morning, give it a go and let me know what you think? How many calories do you think there are in one teaspoon of sugar? If you want to get technical, one 4g teaspoon of sugar? 16 Kcal in 1 Tsp of sugar. What did you guess, does it sound a lot? A little? 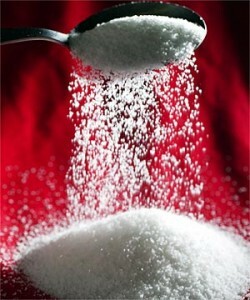 The trouble is, all these little teaspoons of sugar add up to quite a lot of calories over a day, week, month or year. E.G. You take 2 sugars in your cuppa, you have around 4 cups of tea a day, over one year that equates to an extra stone in weight. When people steadily put weight on over the years it often comes on as a stone a year. This could be just down to your ‘2 sugars in your tea’ habit. Quit the sugared tea’s, you could lose a stone right there. Sugar does nothing to enhance your health or body. The substance is physically addictive and for some people the lure of sugary products is as strong for them like a drug addicts cravings. In simplistic forms, just cutting down on empty, excess sugar calories in cups of tea, fizzy drinks and fast foods you will be benefitting already. Depending on healthy you want or need to be, you can then looker deeper into all the hidden sugars that you might be surprised to find in your everyday savoury and sweet foods. Read more about hidden sugars in this article from The Mirror newspaper. Ramadan is a spiritual month in the Islamic calendar where Muslims from around the globe all come together and fast. This is to abstain from all food and drink during sunlight hours. Fasting is intended to help teach Muslims self-discipline, self-restraint and generosity. It also reminds them of the suffering of the poor, who may rarely get to eat well. It is common to have one meal (known as the suhoor), just before sunrise and another (known as the iftar), directly after sunset. Because Ramadan is a time to spend with friends and family, the fast will often be broken by different Muslim families coming together to share in an evening meal. Depending on where you are in the world, will determine how long your fast will be, ie; how long in between sunrise and sunset. The climate you are in will make a big difference as well, in hot countries such as Dubai you need to be particularly careful to keep from dehydrating in the strong heat. Fasting is also an excellent time to give up smoking, as you cannot smoke for the majority of the day it is the perfect opportunity to quit smoking easily and for good. What about your health during Ramadan? Fasting can be good for your health as long as it is done correctly. When the body is starved of food, it starts to burn fat so that it can make energy. This can lead to weight loss. However, if you fast for too long your body will eventually start breaking down muscle protein for energy, which is unhealthy. The changes that happen in the body during a fast depend on the length of the continuous fast. The body enters into a fasting state eight hours or so after the last meal, when the gut finishes absorbing nutrients from the food. In the normal state, body glucose, which is stored in the liver and muscles, is the body’s main source of energy. During a fast, this store of glucose is used up first to provide energy. Later in the fast, once the glucose runs out, fat becomes the next source of energy for the body. With a prolonged fast of many days or weeks, the body starts using protein for energy. This is the technical description of what is commonly known as ‘starvation’. It is clearly unhealthy. It involves protein being released from the breakdown of muscle, which is why people who starve look very thin and become very weak. However, you are unlikely to reach the starvation stage during Ramadan because the fast is broken daily. As the Ramadan fast only lasts from dawn till dusk, the body’s energy can be replaced in the pre-dawn and dusk meals. This provides a gentle transition from using glucose to fat as the main source of energy, and prevents the breakdown of muscle for protein. Dr Mahroof says the use of fat for energy helps weight loss. It preserves the muscles and eventually reduces your cholesterol level. In addition, weight loss results in better control of diabetes and reduces blood pressure. “A detoxification process also occurs, because any toxins stored in the body’s fat are dissolved and removed from the body,” says Dr Mahroof. After a few days of the fast, higher levels of endorphins appear in the blood, making you more alert and giving an overall feeling of general mental wellbeing. A balanced food and fluid intake is important between fasts. The kidneys are very efficient at maintaining the body’s water and salts, such as sodium and potassium. However, these can be lost through perspiration. To prevent muscle breakdown, meals must contain enough energy food, such as carbohydrates and some fat. Stay hydrated. Because our body is mostly water, the best source of fluid replacement is pure water. 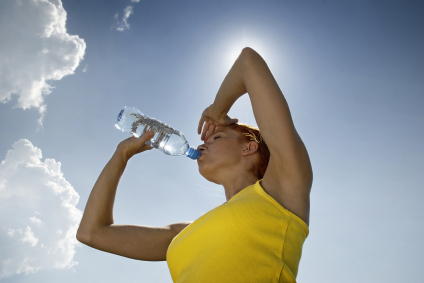 Aim to drink enough water at night to avoid dehydration and headaches during the day. Eat well to stay healthy. Start gently and break your fast with dates, water or milk. After a long period of fasting, you need to bring your fluids and blood sugar level up without overloading your body. Have some fruit and nuts to get your digestion system gently going. Resist deep fried food such as samosa’s, chips and heavy savoury pastries. Eat slowly and don’t overdo it. The longer we chew our food, the less work our digestive track needs to do and we absorb more nutrients. During Ramadan the digestive system isn’t being used, so remember to not overburden it. Exercise when you can. It is important for your circulation to maintain some kind of exercise. Get into the habit of going for an evening walk, or just to get some fresh air. Fresh air is important for your body and it will also help you to sleep well. Sleep well. A good sleep is necessary to ensure balance the next day especially for those who go to work. Lack of sleep can express itself in the form of nervousness, bad headaches and digestive problems. For more information, get the Dept of Health Guidelines for Ramadan here. In Muslim countries such as Dubai, it is important that all non Muslims respect the month of Ramadan, which means adopting certain rules in public during daylight hours. 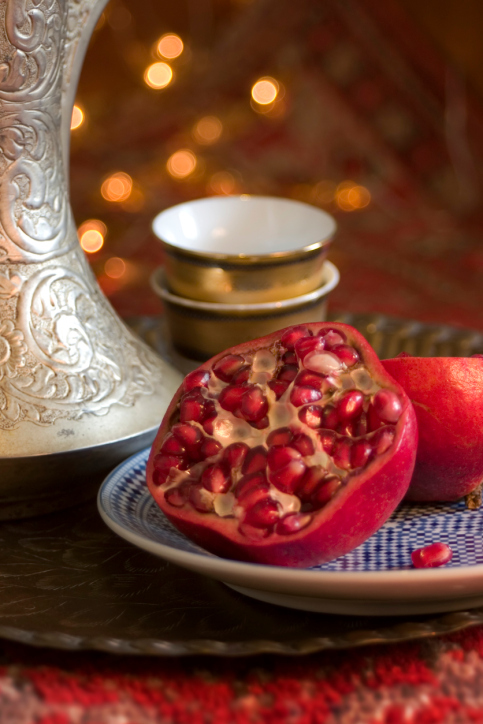 Read the ExPat Woman Ramadan Guide here. What happens when I drink Coke? The power of coca cola advertising means that almost all of us have the powerful subliminal message deeply planted within us, the familiarity of it’s red livery comforts us, and we’d ‘like to teach the world to sing’ – remember that song? The kids go mad when Santas cola Christmas truck is in town, or just recently, ‘things taste better with a coke’ Thereby firmly inplanting their feel good messages within us. Many of us think by drinking a coke or diet coke, instead of a beer or glass of wine, we are making healthier choices but for some people their cola drinking habits are increasing. A can a day, a litre a day, 2 litres a day? You can get addicted to drinking cola and if you are trying to lose weight this seemingly innocent drink can severely hamper your weight loss efforts. So what happens when you drink cola? 45 minutes: Your body ups your dopamine production, stimulating the pleasure centers of your brain. This is physically the same way heroin works. 60 minutes: The phosphoric acid binds calcium, magnesium, and zinc in your lower intestine, providing a further boost in metabolism. This is compounded by high doses of sugar and artificial sweeteners also increasing the urinary excretion of calcium. 60 minutes: The caffeine’s diuretic properties come into play. (It makes you have to pee.) It is now assured that you’ll evacuate the bonded calcium, magnesium, and zinc that was headed to your bones as well as sodium, electrolytes, and water. 60 minutes: As the rave inside you dies down, you’ll start to have a sugar crash. You may become irritable and/or sluggish. You’ve also now, literally, pissed away all the water that was in the Coke. But not before infusing it with valuable nutrients your body could have used for things like hydrating your system, or building strong bones and teeth. Coke itself isn’t the enemy here. It’s the dynamic combo of massive sugar doses combined with caffeine and phosphoric acid, which are found in almost all sodas. Moderation, people! And if that didn’t scare you, here are the ingredients in that bubbly, caffeinated, coloured syrup you’re enjoying: carbonated water, high fructose corn syrup, phosphoric acid, preservatives, caffeine, caramel coloring, potassium benzoate, natural flavors. If you wanted to be turned off cola, place a tooth, a chicken bone and an old coin into a glass of coke and see what happens. The acid will strip the dirt from the coin, the tooth will go black and the bone with disintegrate. Sadly this is the same stripping effect it has inside your body, leaching calcium from your bones en route to osteoarthritis. 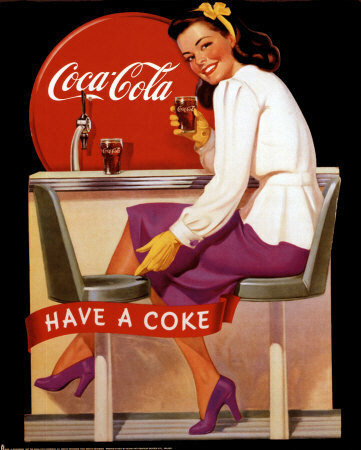 Try kicking your cola habit into touch now, for long term health benefits, or save it for occasional consumption. You will see a massive difference to your health and weight loss efforts.